As an ‘infill’ development in an already well established residential area, the opportunity to acquire a new property in such a high demand area, assures the investor of long term future growth. With a price point starting from only $349,700, this represents the right choice for your Automatic Acquisition Plan. The springboard which enables such an advantageous price point is of course Massland’s revolutionary Amalgamation process, which delivers the added benefit of better quality homes for a lesser cost than our competitors. All these homes are highly appointed 3 bedroom properties with a lock-up garage, generous living areas and sitting on sought after land areas. With only a nominal number of properties remaining, the time to act is short. Acquiring an asset such as this will only act to accelerate the future growth of your property portfolio. Seize the opportunity to use this growth and enjoy your future retirement. Take advantage of the market and create a position of financial security. 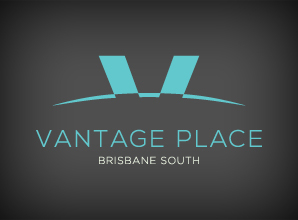 Located just 15km from Brisbane, Vantage Place is perfectly positioned in the high growth area South West to Brisbane and just a 20 minute drive to the CBD. It is close to a comprehensive offering of local amenities, including shopping centres, schools, medical services, sporting fields and retail stores such as Woolworths (1.5kms), Aldi (2kms) Bunnings (4.7kms) and many other familiar household names. With immediate access to the M2, M5 and M7, the local train station (3.7kms) and easy access to surrounding areas, without equal it represents a location that will continue to grow. Doolandella benefits from a strong growth in population at 6.5%, experiencing one of the largest increases in the Greater Brisbane area (2011-12). economy over the next two decades. This is underlined by developments and infrastructure initiatives such as the major northsouth connection between Heathwood, Pallara, Doolandella, Durack and the Logan Motorway. The project is part of Brisbane Council’s ambitious Road Action Program which fast tracks 15 years of infrastructure investment and road works to be completed in four years. Of course the entire South East Queensland region continues to receive investment in infrastructure and to experience the insatiable demand for affordable properties. The time is right to take advantage of these unprecedented and positive influences for investment.